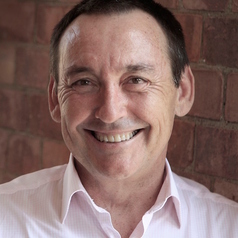 Professor Jeff Dunn AO is the Chief Executive Officer of Cancer Council Queensland, a role he has held for almost 15 years. In March 2017 Jeff will step down as CEO to commence a newly created role at CCQ, as Research Leader of Social and Behavioural Science within CCQ’s Cancer Research Centre. In conjunction with that role, Jeff has been appointed to the prestigious position of Professor and Chair of Transformative Social Science within USQ’s Institute for Resilient Regions. He currently holds Professorial appointments with the University of Southern Queensland Institute for Resilient Regions and the Griffith University School of Medicine and University of Queensland’s School of Social Science. He has a central focus on the social and behavioural aspects of cancer control, spanning across the continuum of research, prevention, early detection, supportive care and quality of life. He is actively involved in research in this field and has dedicated his career to the development of novel supportive care strategies that underpin cancer prevention and improve community awareness of the disease. Jeff also serves on the Board of the Union for International Cancer Control (UICC) and is the Secretary and a Director of the International Psycho-oncology Society (IPOS). He currently serves, among other things, as an editorial Board member for Psycho-Oncology Journal and is also the Chair of the UICC‘s Asia Pacific Cancer Society Training Grants Programme. Jeff is the Immediate Past President of the Asia Pacific Organisation for Cancer Prevention (APOCP).